buy Northwave Fahrenheit online now from Arthur Caygill Cycles. 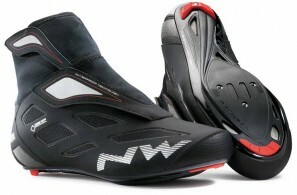 We currently have Northwave Fahrenheit in stock. If you have any questions about Northwave Fahrenheit, please get in touch. Northwave’s winter cycling shoes are designed and made to offer maximum protection against the weather, without compromising on breathability or efficiency of movement, and the Northwave Fahrenheit 2 GTX Road Boot is no exception.